We will show you some awesome grinding hacks for your joints, bongs, and blunts. Whether you want to improve the burn and flavour of your smoke or simply impress your friends, these tips will come in handy. It is one of those moments when a sinking feeling sets in. You desperately search your bag and pat down your pockets until the realisation hits… your only grinder, your only means of breaking up your weed, is nowhere to be found! All is not lost. Just because you don’t have a grinder doesn't mean your prized stash cannot be put to good use. And no, we don’t mean munching on a fat bud. 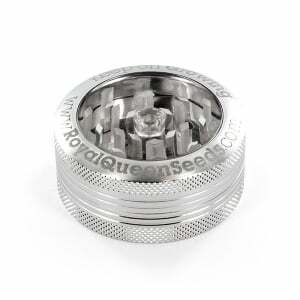 Instead, by cleverly using everyday items, it is possible to substitute your grinder for several other viable methods. 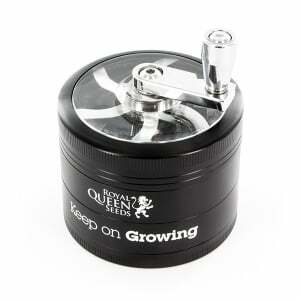 They may not have the efficacy of a purpose-built grinder par excellence, but they will help when you need them most. For ease, we have broken potential scenarios down into three categories. There is a good chance you will find yourself in one of these locations when your only grinder goes missing. Most of the time, our smoking session will begin at home before moving elsewhere. If, after turning the house upside down, you still cannot find you grinder, it is time to change tact. Sounds obvious when you think about it. If a coffee grinder can finely grind hard coffee beans, it will make light work of your cannabis buds. There are, however, a couple of caveats. Firstly, depending on how clean your coffee grinder is, expect the taste of your buds to have a unique twist. Secondly, when the time comes to use the coffee grinder for its original purpose, don’t be surprised if you have an extra “spring” in your step that morning. The chances of bud being left behind and blending with the coffee beans are high. Just like our ancestors would have done. Whenever herbs were needed for traditional medicine, they were first ground up using a pestle and mortar. For best results, leave your marijuana out to dry for a few hours beforehand. Moist buds are harder to break apart. This method requires a decent amount of hand-eye coordination. We would recommend being completely sober before trying, as the risk of injury is quite high. You will need to channel your inner chef. The aim is to finely chop your weed using a non-serrated blade. Buds can be quite small and delicate to hold, so proceed with caution. Now is not the time to see how fast you can chop 10 grams of weed. Take it slow, and you will have plenty of bud, plenty of fingers. Resources may be limited when you are moving from location to location, but that doesn't mean you need to go without. Pure and simple. 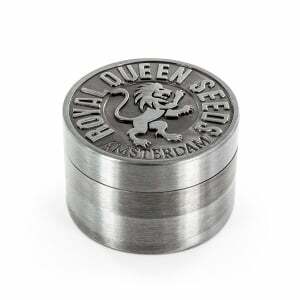 You are out and about only to find yourself without a grinder. With nothing else available, your hands are the next best thing. The tradeoff means broken up chunks are likely to be large, especially if you have big fingers. Holding one hand flat with the palm facing up, use your other hand to break apart the weed. Carefully roll the bud between your middle finger, index finger, and thumb. As your nugs break apart, the (smallish) chunks are collected in your outstretched hand. All the items needed are likely to be within easy reach when you are on the move. You will need a single coin and a tub with a lid that is large enough to fit the coin inside. An old film container or plastic pill bottle are both ideal. Drop the coin inside along with your buds. Attach the lid and start shaking. As the coin moves around, it will break apart the buds with its edges. A DIY shaker makes plenty of noise, so it is advisable to avoid a crowded area before you start your shake and bake. Whether you are looking to impress or just want to smoke the night away, both of our strategies will have you blazing in no time. You may even impress a few party-goers along the way. Both items should be readily available in a party environment. Fill the shot glass with a few buds before chopping away with the scissors. The shot glass keeps everything contained, preventing any buds from escaping the snip. Keep chopping for roughly a minute to make sure your buds are sufficiently broken up. No, we don’t mean crafting that infamous house party punch or trying your hand at making canna-cocktails. The only thing going in this blender is some high-quality marijuana. Fill the container with weed, attach the lid, and press the button. Some blenders can be a little overpowering for your tender buds, so results can vary. In reality, using a blender should be a last resort; but for the sake of looking cool, the choice is yours. The more bud in the chamber, the better a blender works. If you want to take this method one step further, ask for a communal offering from all your guests and create a tasty mix of all the cannabis going round. While none of our ingenious methods will ever beat having a well-made grinder at hand, they will get you out of a pinch. No matter where you are, keep the joints rolling.